Caregiver Products is proud to supply standing, sitting, & transfer aids by Stander. Pivoting handle with muliple hand grips provide support for standing safely. 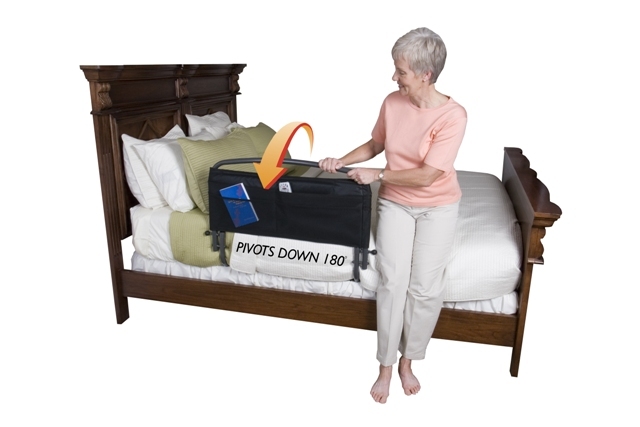 Portable transfer handle that makes getting in and out of bed easier. Provides support for standing easily from a couch or recliner. Pole with cushion grip makes standing easier and safer. Bed side rail with table and safety bar for transfers. Easy to fold rolling walker, lightweight, compact, ideal for travel. Handrail provides protection and helps falls. Helps prevent falling out of bed and can be used for assistance to sit up in bed.